Is it Safe for my Kids to use the Hot Tub? Keep in mind that kids should always be accompanied by an adult when they are near water. Babies can handle hot tub soaking at a lower temperature with their parents, but their time in the warm water should probably be kept to a minimum at first. With that being said, the hot tub is absolutely a safe place for kids to have fun. 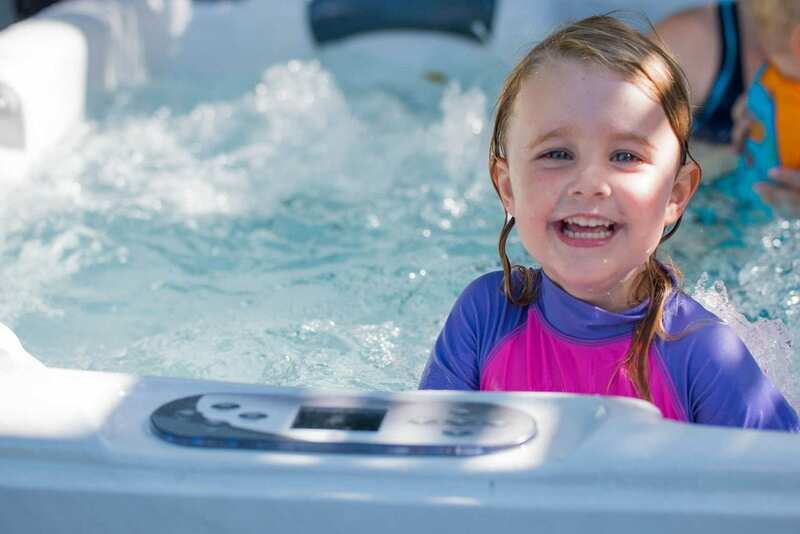 Children love splashing around, and they really enjoy the waterfall and light features different hot tub models offer. Hot tubs are a great place for relaxing, unplugged family time.